There's a chance total viewership could fall below 100 million. The run of improving ratings for the National Football League may come to an end at the worst possible time. 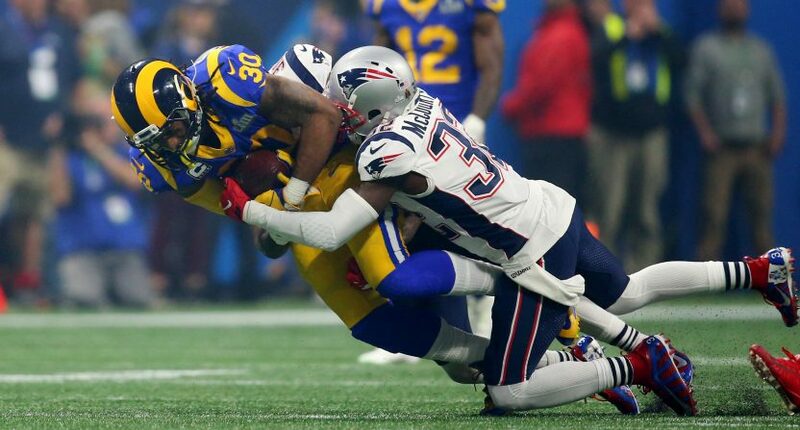 Austin Karp of Sports Business Journal tweeted that last night’s Patriots-Rams “thriller” registered a 44.9 overnight rating for CBS, the lowest since Super Bowl XLIII in 2009. In comparison, last year’s Super Bowl on NBC, which also had the “lowest since 2009” tag, had a 47.4 overnight rating. This contrasts with overall ratings this NFL season. Ratings were up on average all season compared to the previous year, and were up for both conference championship games two weeks ago. The AFC Championship Game registered a 31.2 overnight rating for CBS in primetime, while Fox got 27.1 for the NFC Championship Game held in the afternoon. With such a low overnight rating, there’s a risk that total viewership will dip below 100 million people for the first time since Super Bowl XLIII between the Steelers-Cardinals in 2009 (98.7 million, which at the time was a record high). The total viewership between 2015 and 2017, when overnights were hovering around 49, was over 111 million. Last year, when the overnight rating dipped by over a point over the previous year, the Super Bowl drew 103.4 million viewers. Overnight ratings and total viewership aren’t exactly linear comparisons on a yearly basis, so we can’t determine the actual viewership until an official number is released. But considering this year’s overnight fell 2.5 points compared to last year’s lower number, this could be a very low number (in comparison to recent Super Bowls) and make us look overly optimistic in our ratings predictions last week.